Queenslanders are notorious for their copious beer consumption. But no longer are they all content to stick to monochromatic cans and decals (and flavours). Now, they cry for something other than just volume – they cry for quality, variety and innovation. 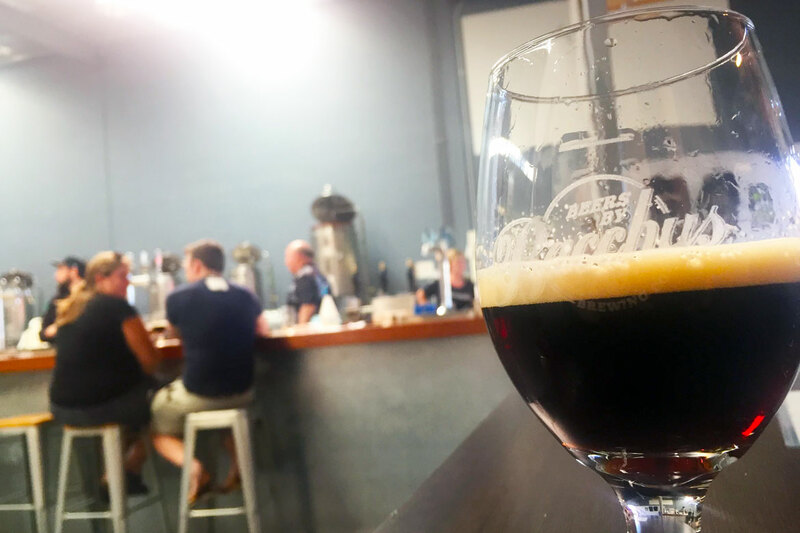 New breweries are popping up faster than worms after a rainstorm, existing breweries are pumping out seasonals and limited releases like there’s no tomorrow, and it’s a full-time endeavour to chase down every new beer this beautiful state has to throw at us. Nevertheless, there are brave men and women who are prepared to try. Five Queensland beer folk gathered to discuss which were the top ten new beers released by brewers in the Sunshine State in 2017. They came armed with their own personal shortlists (and prepared to brawl if necessary), as well as the opinions and feedback from a range of beer industry people sourced from around the state. Also giving a once over and a sage nod to the final list was Emily Phoebe Smith, who took out Best Beer Tender at the inaugural Beeries. After an initial compiling of lists, the panel arrived at a "short" list of 22 beers. Then, following much deliberation, they eventually hacked and slashed that down to the following list of ten. While the rest of this list is presented in alphabetical order, in keeping with the other Crafty Pint Best New Beers Of 2017 rundowns, this beer was probably the closest to a unanimous "best of 2017" so is here as the opening salvo. Green Beacon’s barrel program is still young, but has already started turning out impressive beers. Last year, their Bourbon Barrel Aged Strong Ale made this list and since then they’ve gone from strength to strength. 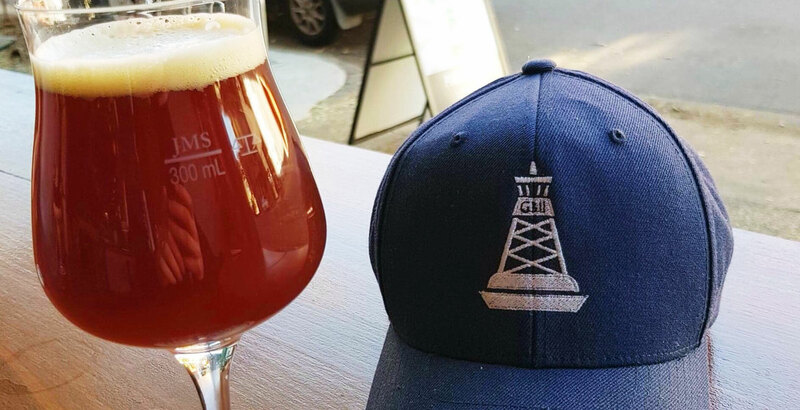 A few barrelled sours hit the taps this year and none gained more devoted fans than the Flanders Red. It was the “Taste this!” beer that your mate would shove under your nose. Though it spent more than 16 months in ex-Penfolds Shiraz barrels, the batch was never "out of sight, out of mind" – it was tasted almost weekly to gauge when it should be released for optimal flavour. Both the shiraz and the oak come to the party in style, adding a real depth to the tart raspberry and cherry notes. At 8 percent ABV, the Flanders Red has a big presence and a complex, sour finish that lingers and lingers. It’s like Rodenbach’s convict cousin. 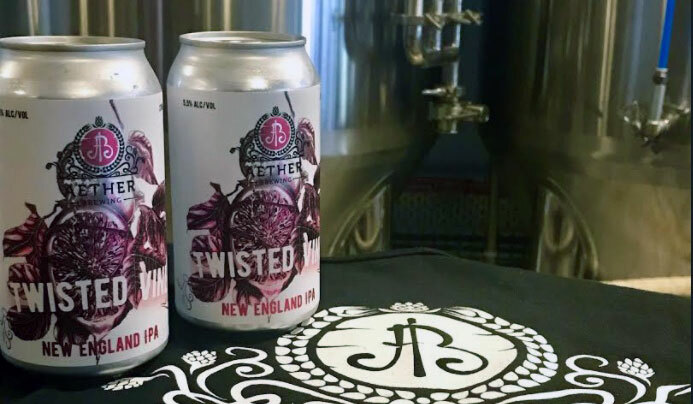 First released at Beer InCider festival, Aether Brewing's Twisted Vine won over a lot of people in a short amount of time, becoming the festival favourite for many. While it’s not the only NEIPA in this list, and does carry the characteristic juicy/low bitterness traits, it’s quite distinct from Breakfast Juice and many other NEIPAs due to the addition of blood orange and passionfruit. It also doesn’t have much of the haze that’s commonly attributed to NEIPAs, but not many who’ve tasted it have a problem with that. The blood orange brings the flavour, the passionfruit brings the tartness, and no one brought any bitterness. Note: There was a bit of a recipe change between the original kegged version and the subsequent canned version, which saw the ABV drop to a more sessionable 5.5 percent ABV and the sourness increased. A few of the original fans didn’t like the new version as much, but many kept loving it, and a whole bunch of new people got on board. 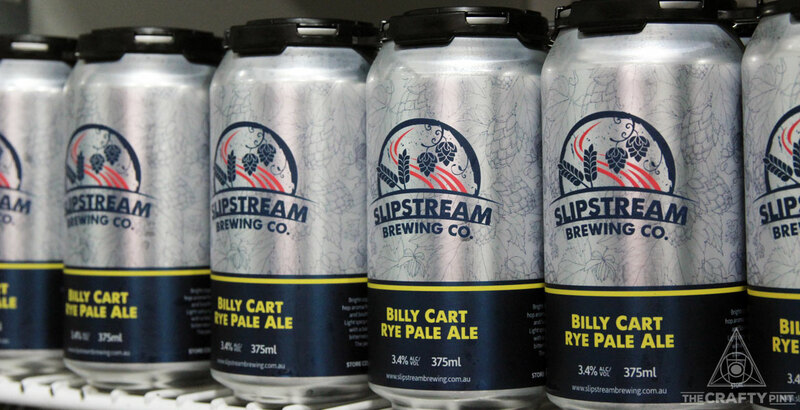 This suburban brewery has been slowly but surely carving out its place in Brisbane over the past five years, and used 2017 as an opportunity to speed that up further by rebranding and launching its beers in cans. 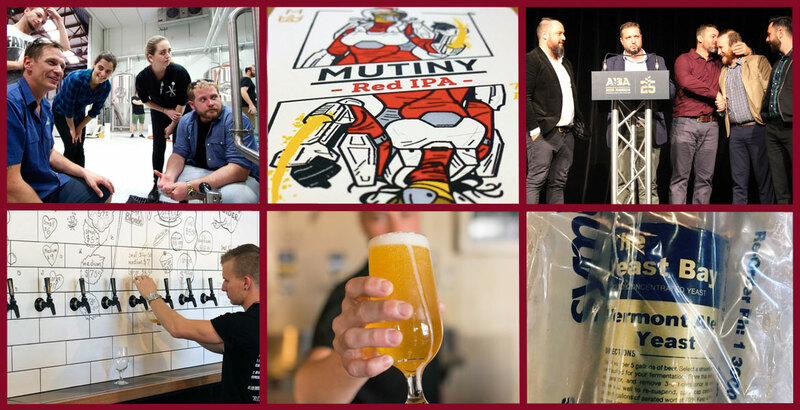 Parallel to their rebrand, All Inn set loose Mutiny Red IPA – an explosive beer as they’re exploding on the scene. They quadrupled the "rule of thumb" regarding the sensible amount of lupulin hop powder to use and the result is a blast of hop aroma and strong resinous flavours. This 70 IBU beer doesn’t drink like a 70 IBU – the bitterness is held in check with a heavy malt base, providing a sweetness and full body that keeps its from becoming an assault on the tastebuds. What?! Bacchus has made another delicious dessert beer that does exactly what it says on the label? No one was expecting this! Except that everyone was expecting it. 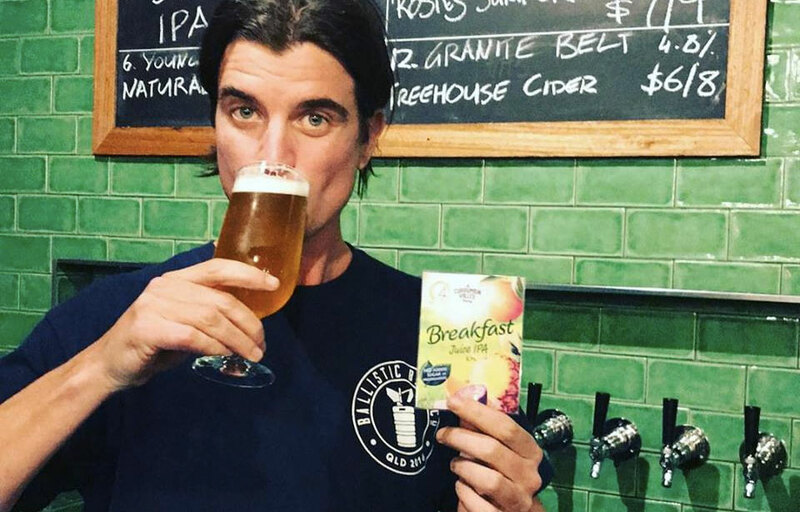 Though head brewer Ross Kenrick also makes some excellent "normal" beers, he’s built quite a reputation for Bacchus on the back of his more weird and out there brews, with a strong focus on dessert beers. And this one meets – and exceeds – expectations. The tasting notes are simple – it tastes like salted caramel. You can taste the salt. You can taste the caramel. It’s thick and smooth and sweet and luxurious. This boozy robust porter is part hipster-dessert-bar-offering and part lollies-from-your-grandma. Black Hops first appeared on many people’s radars in 2015 when they brewed Midnight Pale Ale to mark the release of Call Of Duty III. 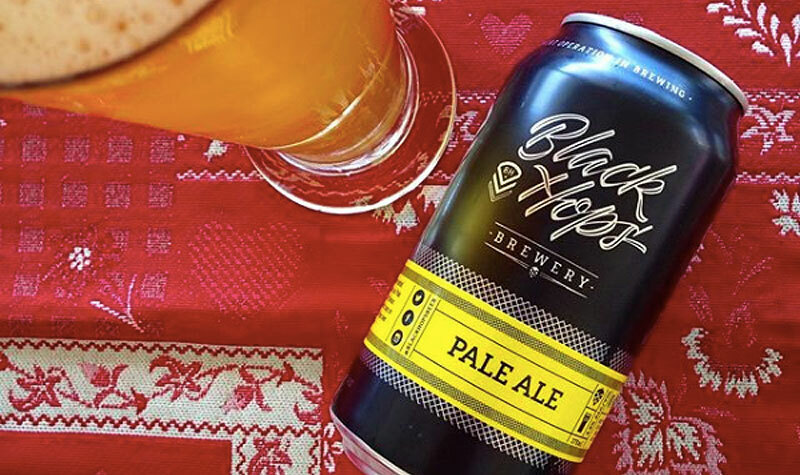 But, other than that, there had been no Black Hops pale ale (and even that one was black...), which is pretty unusual for an Australian craft brewery – Not that anyone had been complained about their other offerings. However, that changed in 2017 with the release of their aptly named Pale Ale, a welcome addition to their core range and the first of their beers to be canned. It was designed to be accessible to a wider audience, but it’s certainly gained the attention of the beer nerd crowd as well thanks in no small part to its lively tropical hop character. Using a mix of American, Kiwi and Aussie hops, and with the addition of wheat for a smooth mouthfeel, it’s a simple beer in some ways, but it’s one that nailed the style and managed to win hearts far and wide as well as a gold medal at the Australian International Beer Awards. The Sunshine Coast hinterland is famous for all kinds of artisan foods and beverages – and Maleny’s Brouhaha fits right in. The Raspberry Saison was a winner last year with its local raspberries, and this Berliner weisse that’s kettle soured with a local yoghurt culture follows well in its footsteps. The fruits impart a lovely soft pink cloudiness, with mostly strawberry on the nose. The rhubarb is more prominent in flavour, with a mix of sweet and sour followed by a dry, tart finish. As far as sours go, this is a gentle one – perfect for anyone after a quaffer on a sweltering Queensland afternoon. As these top tens have been making abundantly clear, 2017 was the year of the New England IPA. But, while every man and his dog had a crack at this style, not all the beers slapped with the NEIPA label were created equal. A few stood head and shoulders above the rest, and Breakfast Juice by Currumbin Valley Brewing and 4 Hearts was one of them. While many NEIPAs are described as looking like orange juice, Breakfast Juice has a foggy gold look to it, more akin to apple juice. But the aroma and flavours are very much about the big citrus punch. There’s almost no bitterness, but there’s probably your daily dose of Vitamin C in each glass. There were two versions of this beer (with a slight recipe change), but both were outstanding and pleased crowds at bottleshops, bars and breakfast buffets alike. The decal is a subversive piece of marketing genius, too – just Google "breakfast juice" and you’ll understand why. 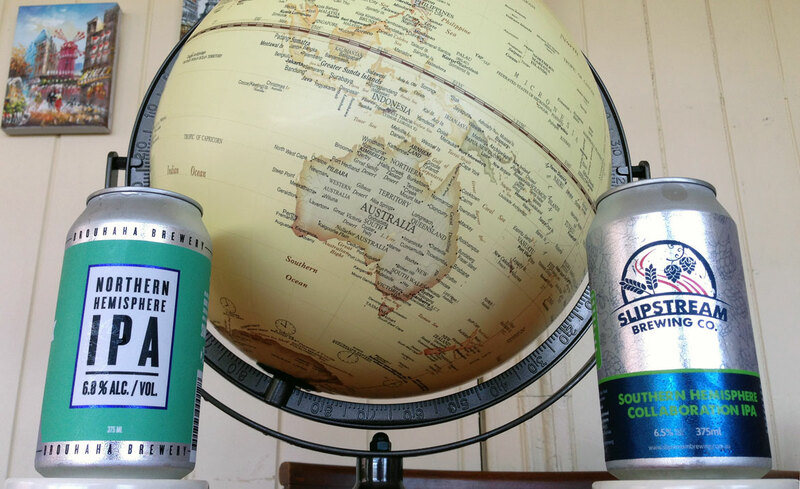 While the panels from some of the other states decided to limit each brewery to one beer in their respective Best Beers list, Queenslanders aren’t so diplomatic. Incredible beer is incredible beer and sometimes a brewery deserves its due. Good brewin' this year, Green Beacon. 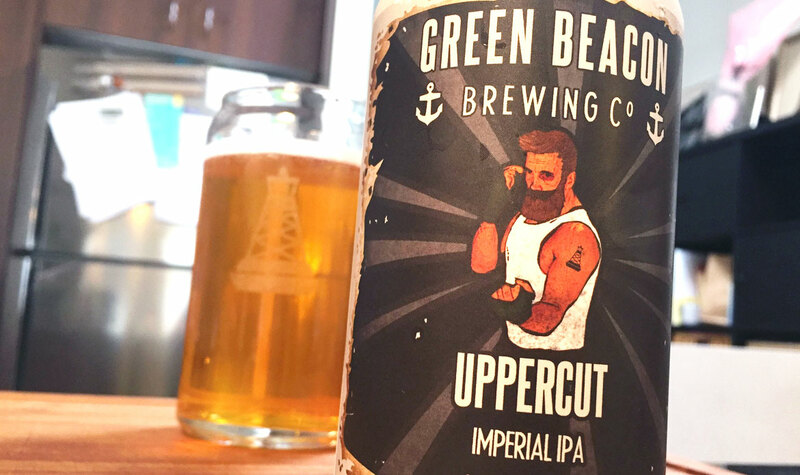 Uppercut is now in its fifth year and in that time it’s gained a following of people who hang out for its arrival. This year’s iteration featured hops three ways: pellets, flowers and lupulin powder. Both pine and tropical fruit fill the nose from the American hops and those flavours continue as you chew your way through the 8 percent ABV beast. The bitterness starts off subtle but, as the temperature of the drink rises, so does the resinous bitterness. Imagine being punched in the face by someone with pineapple marmalade on their knuckles (in a good way) and you’ve got a decent idea of this beer. In Queensland’s climate, it’s especially important for any brewery to have a solid mid-strength beer. Whether for the beer nerd who wants to have a few without getting blurry or for the friend in the group who’s just being introduced to good beer, the middie is crucial in those stinking hot summers. 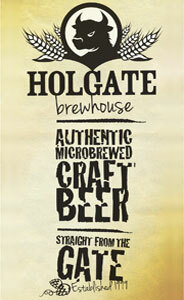 But it's not easy to do a mid-strength beer well, particularly when catering for ever more demanding crafty palates. So when an excellent one hits the market, people generally sit up and take notice. And Billy Cart has impressed punters from day one. At 3.4 percent ABV, it checks the box for being light on alcohol, but definitely isn't light on taste. (Please forgive that sentence for sounding like an ad for Pure Blonde.) It brings a different flavour profile to the table, offering not only gentle honey and some floral hop notes, but also some spiciness as the rye finds its place on the palate. Is it cheating to jam two beers into one spot? Yes, it is. Is everyone OK with that? Yes, they are. These two IPAs are the product of a thriving beer community in Brisbane. For Northern Hemisphere IPA, Brouhaha brought together staff from bars on the north side of the Brisbane river: Netherworld, The Scratch, The Mill, Zero Fox, Tapworks, Fitz + Potts, and Brewski. For Southern Hemisphere, Slipstream invited people from south side venues: Tippler’s Tap, Wandering Cooks, The Burrow, Pour Choices, Saccharomyces, BOSC and Archive. 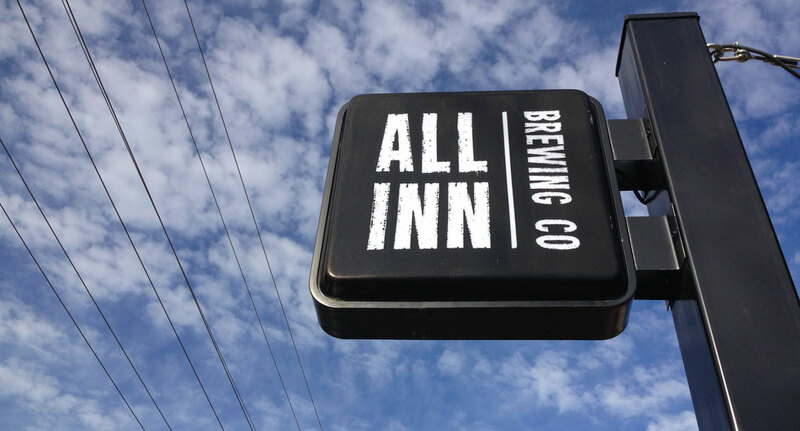 In total, 16 businesses that revolve around good beer making two top notch IPAs in one corner of the state. They all hyped the beers together (and nailed it). They all marketed the beers together. 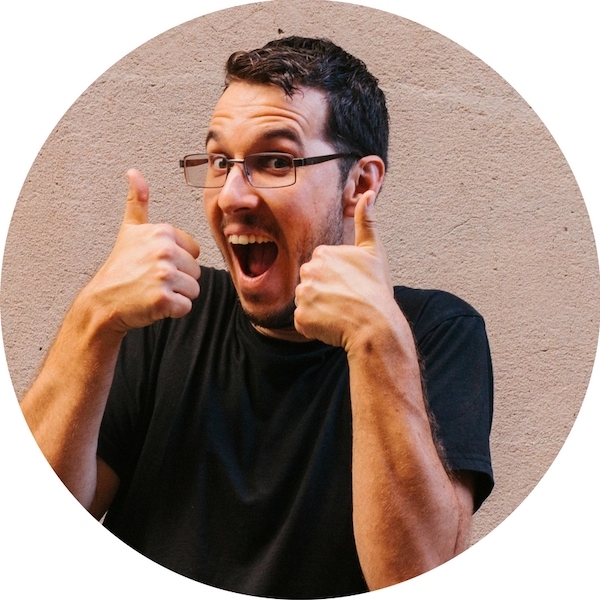 And the result was greater than the sum of its parts – it was something that mattered to the community. There was something of an experience with these beers. For the record: they're not just on the list for sentimental reasons. At an objective level, they are indeed delicious beers that ranked very highly in the popular vote. The Northern Hemisphere showcases those American hops we all know and love – Cascade, Centennial and Columbus – and pours a light amber colour with aromas of stone fruit and full favours of stone fruit, pine and resin, all carried along with a walloping bitterness. The Southern Hemisphere is lighter in colour still and crystal clear. A waft of honey and pineapple on the nose and a cornucopia of mango, pineapple, honey and orange as it flows silkily over the tongue. It certainly does those beautiful Australian and New Zealand hops proud! You can check out end of year Best Of lists from other states here. And, if you're feeling suitably inspired, you can vote in this year's GABS Hottest 100 Aussie craft beers. 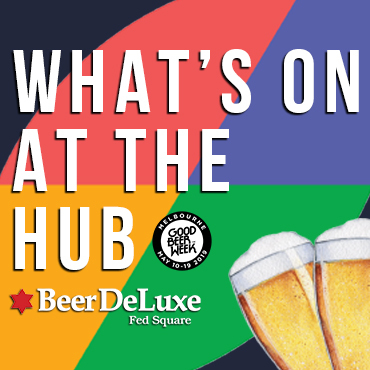 Thanks to all those that took time to nominate their best of 2017, including the folks at Hop On Brewery Tours, Sunshine Coast Craft Beer Tours, Bine Bar, Saccharomyces, The Scratch, Netherworld and devoted punters Lisa and Davin Bailey. With the recent growth of the brewing scene in the state's Far North, we may well have to add a sub-list for brewers that call the region home from 2018, especially given how little of that beer makes it further south. 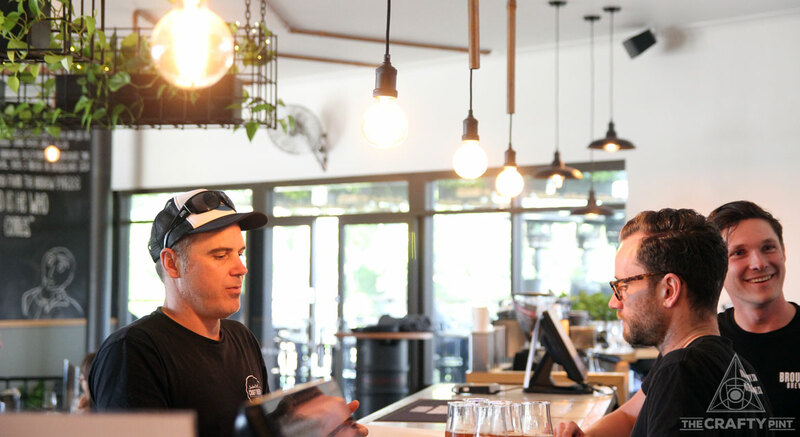 In the meantime, you can check out our guide to craft beer in the region – and look out for guides to the Sunshine Coast and further north in 2018 too.